Arrange the fruit in a mold or shallow bowl. Place juice, sea salt and agar agar in a saucepan. 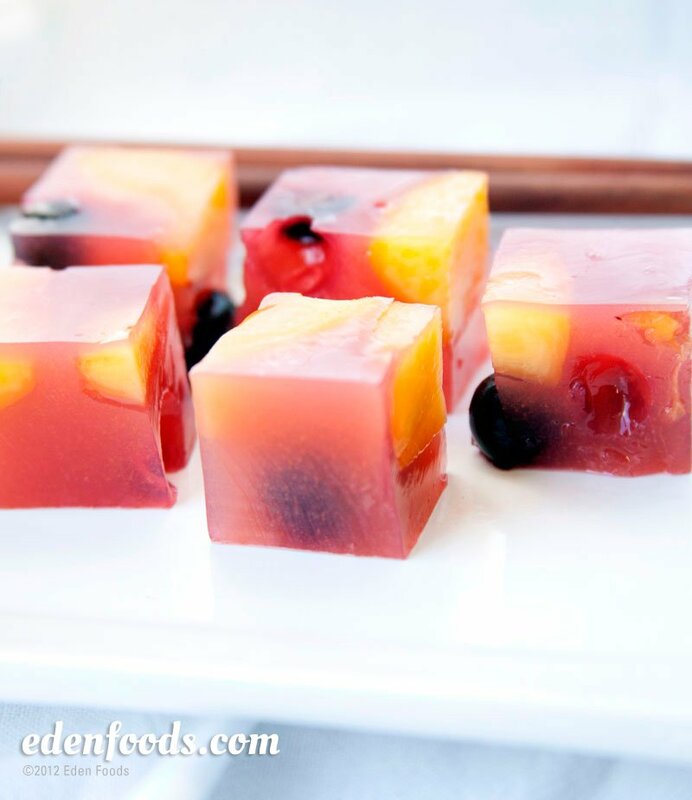 If using agar bars, break or cut into 1 inch pieces before adding to the juice. Bring to a boil, reduce flame to medium low and simmer 15 minutes for bars or 5 to 8 minutes for flakes. Stir occasionally until dissolved. Pour over the fruit. Let set in a cool place or chill in the refrigerator for 1 to 2 hours until firm.